2-1 defeat to Argentina on Tuesday night. Nigeria needed a draw or victory to progress into the next round. last Friday, but they struggled to find fluency in the first half. punished for tugging Leon Balogun. three points and a place in the last 16. 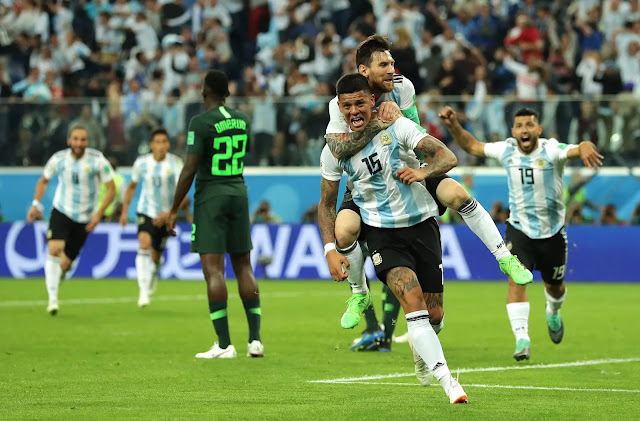 Argentina goes further while Nigeria gets eliminated.